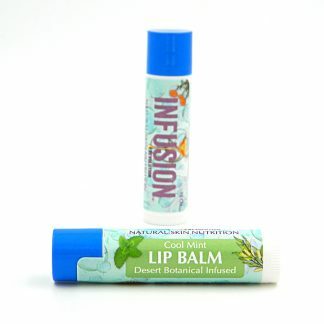 We may have created the ultimate Cool Mint lip balm! It feels heavenly when applied and you’ll feel and see the benefits very quickly. We start with Organic Virgin Coconut Oil, Organic Cocoa Butter and Beeswax to supply moisturizing and protection. From there we add local honey infused with a set of desert plant extracts. Finally, for flavor we use the absolute tastiest and highest quality organic Peppermint and Spearmint essential oil.